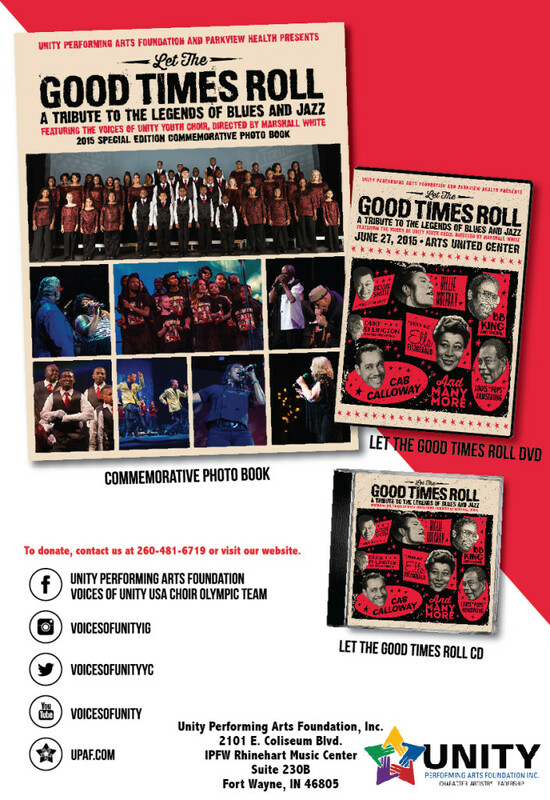 Unity Performing Arts Foundation » Let the Good Times Roll – Relive the Experience! Let the Good Times Roll – Relive the Experience! Relive Let the Good Times Roll: A Tribute to the Legends of Blues and Jazz! Be entertained and inspired by watching the DVD recording of all the performances; listen to the smooth sounds of blues and jazz on the CD; and see amazing photos by flipping through the commemorative photo book. If you are interested in one item or all three, fill out the form below! We will then contact you shortly. What would you like? Check all that apply.